In this March 31, 2014 file photo, HMAS Success scans the southern Indian Ocean, near the coast of Western Australia, as a Royal New Zealand Air Force P3 Orion flies over, while searching for missing Malaysia Airlines Flight MH370. A fresh analysis of the final moments of doomed Malaysia Airlines Flight 370, released by the Australian Transport Safety Bureau Wednesday, Nov. 2, 2016, suggests no one was controlling the plane when it plane plunged into the ocean. Malaysia's government said Wednesday it will pay U.S. company Ocean Infinity up to $70 million if it can find the wreckage or black boxes of Malaysia Airlines Flight 370 within three months, in a renewed bid to solve the plane's disappearance nearly four years ago. Transport Minister Liow Tiong Lai said there was an 85 percent chance of finding the debris in a new 25,000 square kilometers (9,653 square miles) area — roughly the size of Vermont — identified by experts. 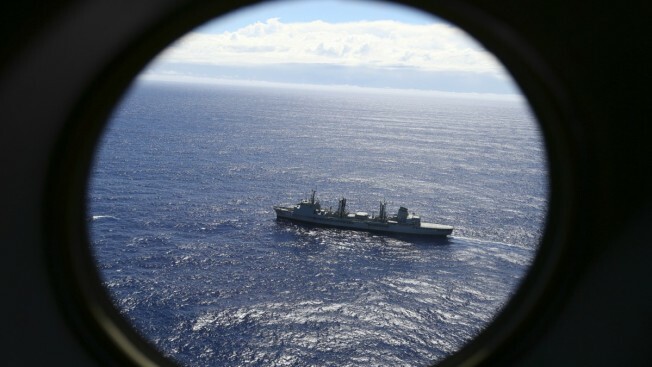 The government signed a "no cure, no fee" deal with the Houston, Texas-based company to resume the hunt for the plane, a year after the official search by Malaysia, Australia and China in the southern Indian Ocean was called off. The plane vanished on March 8, 2014, while flying from Kuala Lumpur to Beijing with 239 people on board. "The primary mission by Ocean Infinity is to identify the location of the wreckage and/or both of the flight recorders ... and present a considerable and credible evidence to confirm the exact location of the two main items," he told a news conference. If the mission is successful within three months, payment will be made based on the size of the area searched. Liow said the government will pay Ocean Infinity $20 million for 5,000 square kilometers (1,930 square mile) of a successful search, $30 million for 15,000 square kilometers (5,790 sq. miles), $50 million for 25,000 square kilometers (9653 sq. miles) and $70 million if the plane or recorders are found beyond the identified area. Ocean Infinity Chief Executive Oliver Plunkett said the search vessel Seabed Constuctor, which left the South African port of Durban last week, is expected to reach the southern Indian Ocean by Jan. 17 to begin the hunt. He said eight autonomous underwater vehicles, which are drones fitted with high-tech cameras, sonars and sensors, will be dispatched to map the seabed at a faster pace. Plunkett said the underwater drones can cover 1,200 square kilometers (463 sq. miles) a day and complete the 25,000 square kilometers within a month. "We have a realistic prospect of finding it," he said. "While there can be no guarantees of locating the aircraft, we believe our system of multiple autonomous vehicles working simultaneously is well suited to the task at hand." The official search was extremely difficult because no transmissions were received from the aircraft after its first 38 minutes of flight. Systems designed to automatically transmit the flight's position failed to work after this point, said a final report from Australian Transport Safety Board last January. "I feel very happy but at the same time very panicky whether it can be found or not. 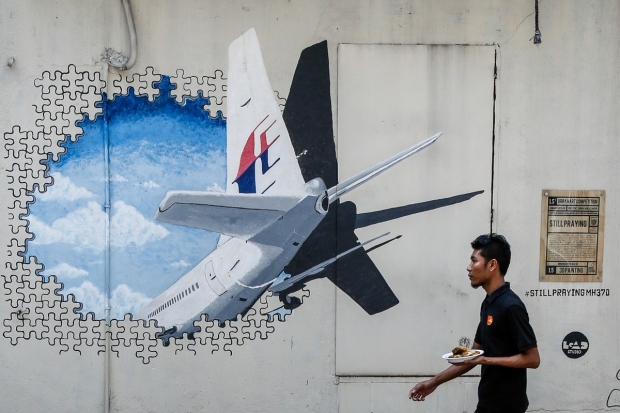 Now it's back to four years ago where we have to wait everyday (to find out) whether debris can be found," said Shin Kok Chau, whose wife Tan Ser Kuin was a flight attendant on MH370. Underwater wreck hunter David Mearns said the new search takes into account oceanographic models used to drastically narrow the possible locations of the crash and deploys state-of-the art underwater vehicles that will allow the company to cover far more seabed at a faster pace. "There are no guarantees in a search of this type. However, notwithstanding that uncertainty, this upcoming search is the best chance yet that the aircraft wreckage will be found," said Mearns, director of Blue Water Recoveries Ltd.